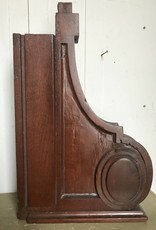 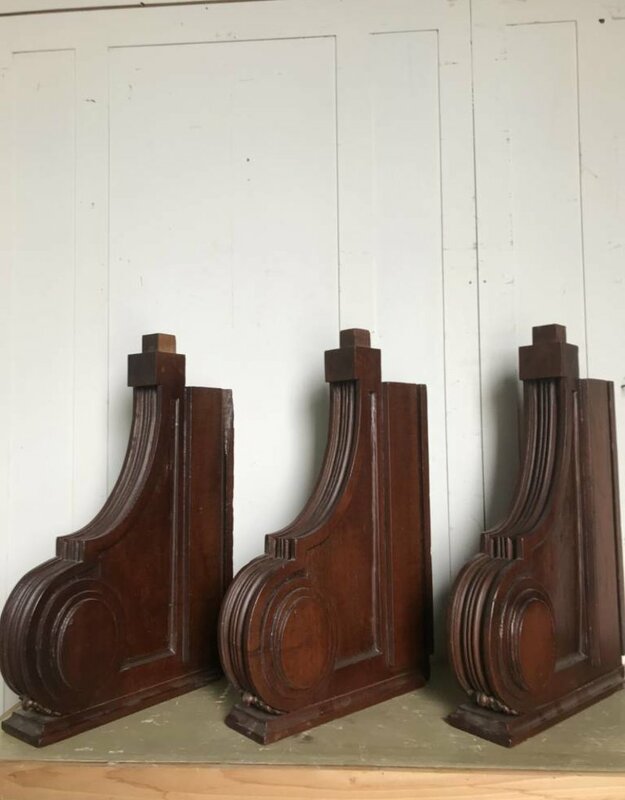 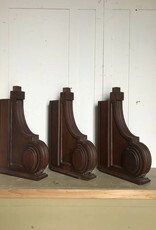 These 3 Mahogany Hand-carved Corbel Brackets have traveled quite a long way. 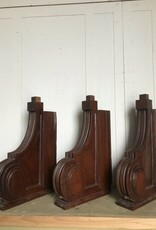 They were brought over here by antique enthusiastic from Sheffield, England. 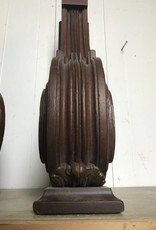 You can visit the bar that came over with it at Enlightened Brewery here in Milwaukee, Wisconsin. 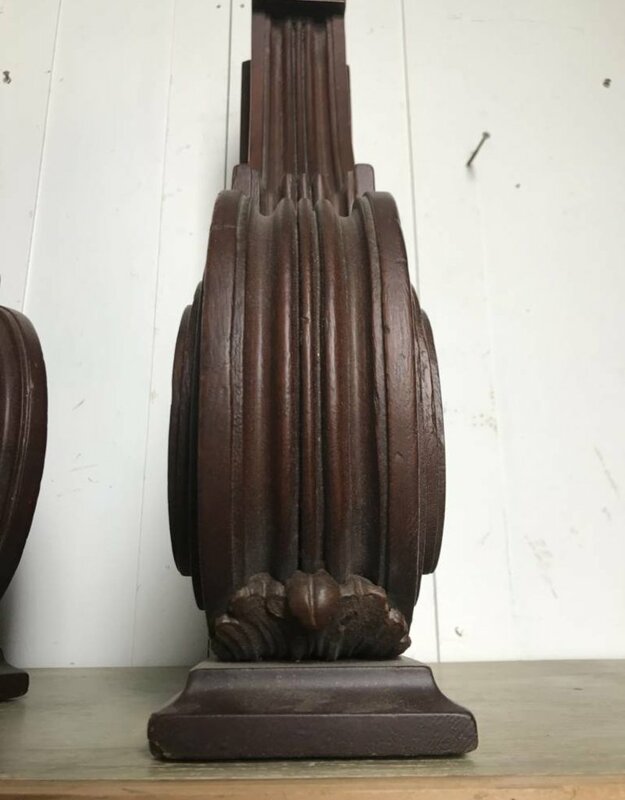 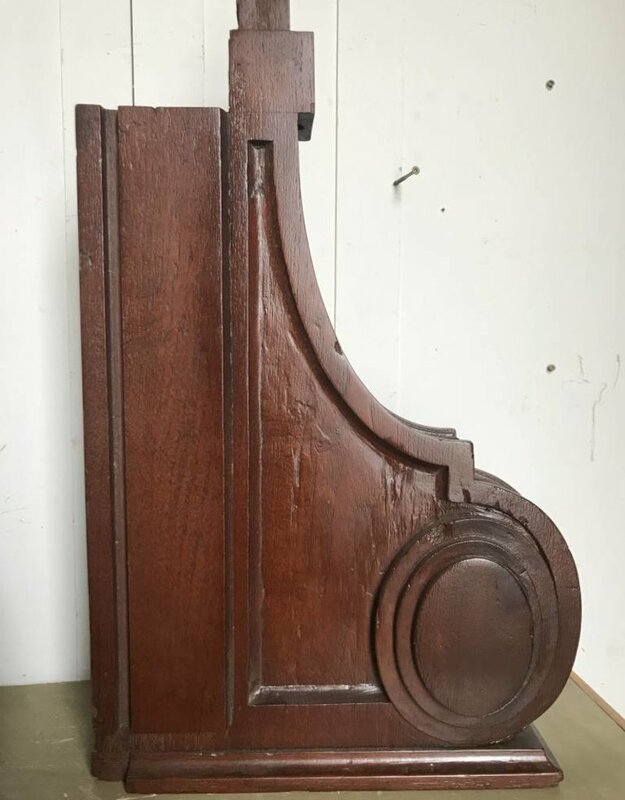 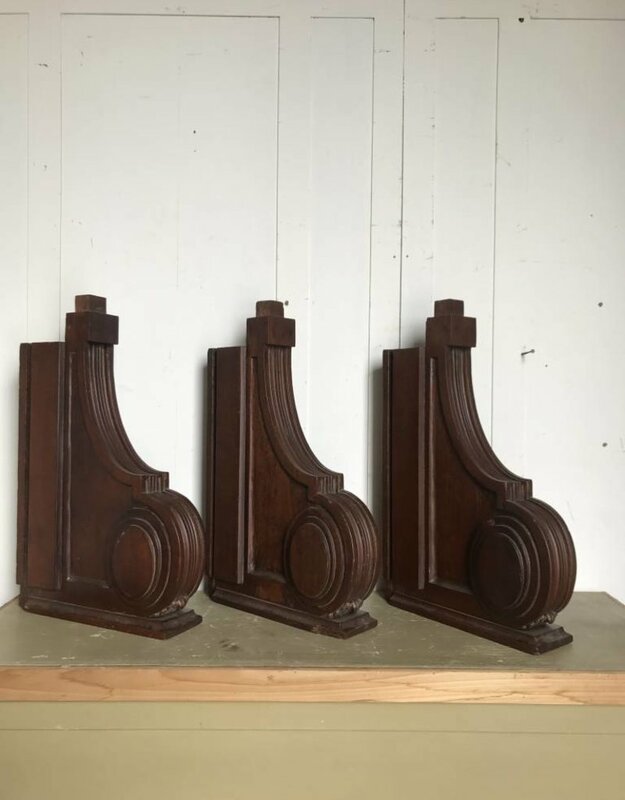 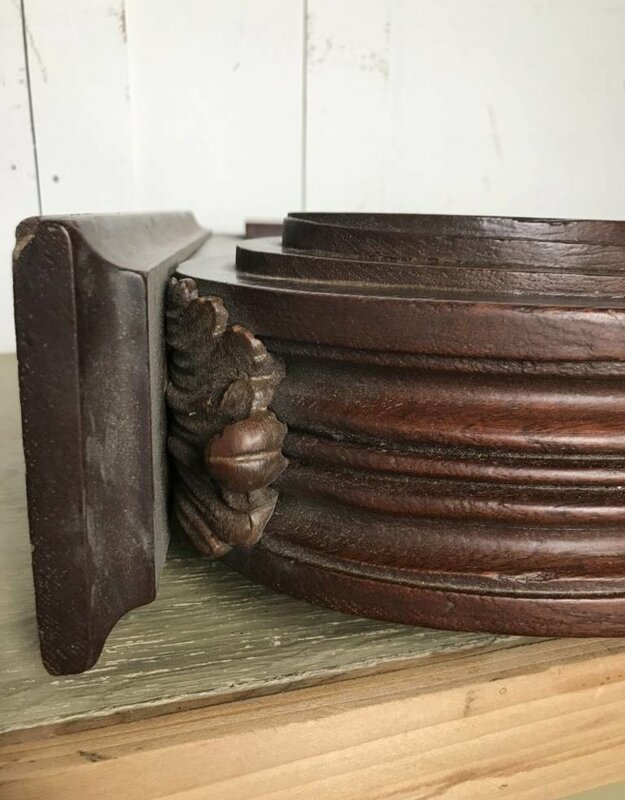 These hefty mahogany corbel brackets will add amazing architectural flair to any space they are in, and are amazing conversational pieces. 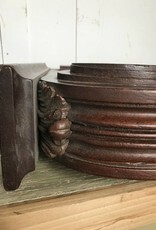 Bring a little bit of history home with you today.